The Strict Rule System is a tipster from the respected Tipstrr platform of betting systems and tipsters. 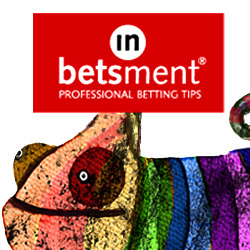 The name is suggestive of a systems-based approach but this is in fact more of a straightforward tipping service. The idea of “strict rules” is more that they will only back a horse if it meets the strict rules they set to qualify for a bet, but that comes after form study which is the bedrock of the approach. So the rules keep them disciplined and sticking to clear criteria. The results during our three month trial were very good, with a profit of 161 points made to advised prices. The Betfair SP results ended up pretty close to the advised prices, with a profit of 147 points made. It should be noted that the average stake during our trial was 7 points per bet, meaning that to 1 point stakes the profit would have been approximately 23 points profit. That is still pretty decent however and came at a very respectable return on investment of 21% and strike rate of 32% (including placed horses). As you can see, although there were a few ups and downs it made a solid profit overall. It’s a pretty simple service to follow, with an average of just one bet per day – although as with most horse racing services that tends to mean more on weekends and less earlier in the week. Overall then we are pleased to award The Strict Rule System a PASSED rating after a successful three month trial. Ease of use: A pretty simple service to follow with an average of around one bet per day, normally sent out late at night for the next day’s racing. Availability of prices: There was not much of a problem in getting the advised prices and the Betfair SP results ended up pretty similar to the advised price results, with just 14 points difference between them. Strike rate: The strike rate for the trial was 32% (including placed horses), which is a pretty good level to have maintained. Advised Betting Bank: A 500 point betting bank is advised for following the service, which we think could be a little on the low side given that there has been a month with a loss of 165 points in the past. With staking at 7 points per bet on average, we would think a 700 point bank would be more suitable here. Subscription costs: The subscription costs are €25/week, €47/month or €109/quarter. With a solid profit of 161 points made during our trial at a return on investment of over 20%, The Strict Rule System has proved its mettle and earned a PASSED rating from us. It’s a nice simple service to follow and with a good strike rate of over 30%, there is a good deal to like about the service. This is one we will be keeping an eye on for the long run to see if it can maintain a strong body of results. The Strict Rule System continues to perform excellently, racking up another 71 points profit at advised prices since our last update. That means they are now 148 points up for our trial overall at advised prices. The results at Betfair SP having been holding up well against the advised prices, with 53 points profit made since our last update and 137 points profit made overall. Just another reminder that the staking here is quite high with an average of 7 points per bet, meaning that they would be approximately 21 points up at one point level stakes. But that is still very good and has been achieved very steadily over our trial. Horse racing tipster The Strict Rule System has been on good form since our last update just over a month ago, with 76 points profit made at advised prices in that time. That means they are now 77 points up at advised prices for our trial overall. At Betfair SP they are actually doing slightly better, with 96 points profit made since our last update and 84 points profit made for the trial overall. As we mentioned last time, the staking is between 4 and 10 points per bet, with the average being 7 points, so that is worth bearing in mind when looking at the results. Still, good stuff from them and let’s hope for more of the same going forward. It’s been an up and down start to our trial of horse racing service The Strict Rule System, which went into big profit early on but has since fallen back to be just 1 point up so far at advised prices. At Betfair SP it is actually in deficit for our trial, with 12 points lost so far. The staking system utilises staking between 6 and 10 points placed on each selection, so that is worth bearing in mind when looking at the results (please note this update previously had Tipstrr’s staking which is unit based on £/€/$ etc so that was not the staking system used by the service itself, which as we say is 6-10 points). Most of the bets come in Irish racing which is unusual but nice to have a bit of variety as most of the services we follow concentrate on UK racing. So things pretty much even here so far but early days and plenty of time to get moving in the right direction again. Today we are going to take a look at a new tipster from the reputable Tipstrr platform and this one is called the Strict Rule System. It is a horse racing service and although we don’t get details of what the rules behind the system actually are, apparently it is run by a guy called Edward, whose trialled and tested horse racing system has become a staple of the Tipstrr platform. Edward likes to prioritise helping members improve their level of knowledge with regards to horse racing and giving them all the tools they need to win. The system appears to work very well, with close to 1800 points profit made since the service started around a year ago. That has been made with a return on investment of over 17% which is pretty decent and the strike rate is over 32%, which is fairly solid. There is certainly something to be said for strategies that follow clear rules as it takes out the element of human emotion and bias that can affect the objectivity of some gamblers. Whether it ends up making profit under live trial conditions remains to be seen but we will find out soon enough. So we will kick off a standard three month trial and will report back soon on how things are going. In the meantime you can check out the Strict Rule System here.